The people behind Blue Planet 2 say there was rarely a time when they were filming that they didn't come across plastic in the sea. This week's episode focuses on how plastic affects sea creatures. "There would rarely be a dive where I wouldn't find some form of plastic from a thread of plastic fishing line, sweet wrappers or plastic bottles," assistant producer Sarah Conner told Newsbeat. 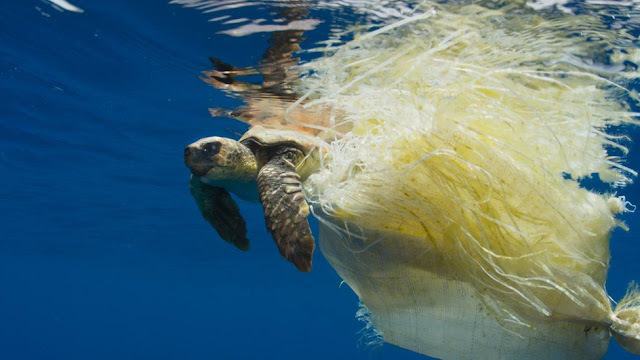 "When in the open ocean on the boat, if we noticed rubbish while in transit we would do our best to stop and pick it up, just as anyone who cares for the ocean would hopefully do."